Still underway testing but the camouflaged version of 2019 RS Q3 was seen driving in heavy snow. Captured in the cameras there are some apparent while some hidden parts. The speed and power with which the car has appeared make one wonder what is there to surprise more. Audi has already given the market a superb combination of speed with the capability and terrific power. No other rival has yet created something to match this machine but this does not mean that there will be none in the near future. But for those families who are interested in having a spacious SUV with racing car features and body plus a lot of luggage space, the new one is not going to disappoint you either. What’s New for the Engine Side? There are some notable changes in the engine side which can be guessed from the exhaust pipes added to the new edition. Despite the previous plastic ones the new one has solid double exhausts. This also gives the idea that there is going to be a five-cylinder addition to the previous one. At present the outputs current 2.5-litre turbo engine produces are impressive but for the new one, the expectations are that it will cross the previous ones. 270 kW with a torque of 465 Nm and the new one supposed to have some flare over here. The only doubt about cylinder count is whether it will continue to abide by the emission level standard or not. The time which was 4.8 sec before will be 4.4 sec now one can well imagine how this area has improved in the upcoming one. As much, as can be seen, there are more bold lines and cuts plus air vents to give it not only a sporty look it also makes it an action oriented vehicle. The vehicle has already a successful styling simple yet effective. To give it a fresh feel the details are added to the previous structure. Even the tires are broad than before and made to get even more grip of the road. The light weight of the vehicle makes it easier to carry around and turn around on twists. The attention is given not only to the front; the back side has also some new things. Those are hidden but they are soon going to be uncovered giving an even more style to the exterior. With other changes brought in the scene how come the cabin will not have them. Sportier looks and materials are expected to be present with this upgrade. Sports seats, carbon-fibre trim elements and the RS logos are going to be present inside. There is no integration going to be a part of the upcoming version. There will be only the sport side present which is good for many. To calm the sporty stiffness the interior will be a comforting one to give a sense of balance. It will also provide a feasible environment to get attached to the car unlike those professional ones only fit for racing purpose. The rest of the things cannot be said accurately about the handling side but one element is for sure going to be there which is the accurate driving. If a car can perform well on snow then there are high possibilities that it will be a good runner on other surfaces also. Wet or dry will not matter. Another thing worthy of getting attention is the wheels which certainly add to the riding capability on different conditions. Four-wheel drive is going to be there giving more stability and support to the vehicle. The RS Q3 is an SUV becoming the faster of all when it will be revealed after all. It is boxier making the driver almost vanish behind the wheel. This will be an exciting feature but some may also get annoyed by it. But only people who are after such a mixed platter will love to have it. This new version is compact and not broader which it was before. The increased speed associated with this Audi is not the work of engine alone, the body shape, its weight and engine work in a team to get to the desired level. Audi engineers are among the hardworking lot and they can extract more power from an engine if they want. The bigger wheels and brakes become a necessity when handling such a high speed. When an Audi is under discussion this section really makes the discussion interesting. With all the other aspects the infotainment system stands out for sure. There are all the advanced features present and the latest techniques and software is used. The coming RS Q3 is also expected to be like this. There is going to be a 10-inch display screen and digital instrument cluster with all the playing tools car these days can have. Related to this system there will also be the driving assistant tools which are a must in the racing car category. 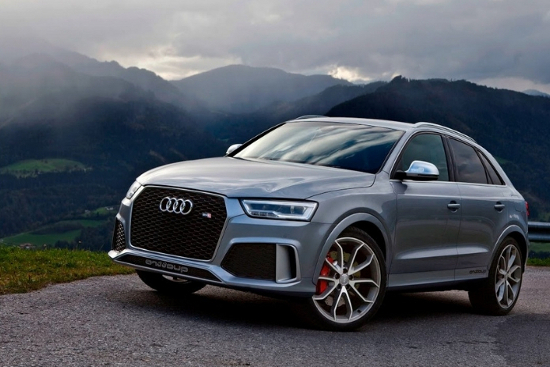 There is certainly an attractive package coming your way with this RS Q3. When will it be in the market? The Audi RS Q3 Engine is in is the final stage of testing and testing it in the snow with all the wet conditions is one of the very important. The grip, the balance, the control and the most important safe travelling all got tested with this one. Rumors are that this upgrade will be revealed in Geneva Motor Show going to be held in March. It is going to be an amazing thing to see as it is a legend already with all the things in place as it should be in a sports car yet a family adorable type. The new one’s exterior, interior, technology and engine is sure to get the attention of the buyers. There is already fast speed, space, an appealing SUV body with all the bold effects in the present one. It will be interesting to know the new one also. 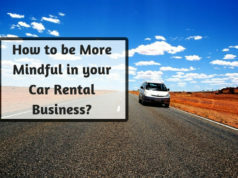 How to be More Mindful in your Car Rental Business?